Location: Mt. Morris, Michigan, USA. Disability: Developmental delay, seizures; prematurity. Emma was abused by her parents for most of her life. She died from a beating aged 2. Perpetrator: George Bingaman (Father) and Destiny Bingaman (Mother), both charged with felony murder, first-degree child abuse, torture and two counts of child abuse in the presence of another child. Xuan’s grandfather was annoyed that he had spent so much trying to treat her cerebral palsy. He and her father put bricks in her backpack, put the backpack on her, and threw her in the river to drown. Children with cerebral palsy are drowned by their fathers and grandchildren drowning in the media: poverty is not a reason. Girls with cerebral palsy are being drowned by their dearest relatives. Je’Hyrah’s neighbors remember that her mother was often negligent. Je’Hyrah was allowed to walk barefoot near broken glass; she was often left alone at home, and strangers came and went from their apartment. A Child and Family Services case had been opened, but closed for lack of evidence of mistreatment. 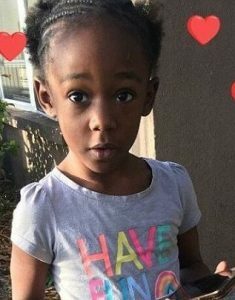 Two days after the DCFS decided Je’Hyrah was safe, Je’Hyrah’s mother stole a car from a dealership and used it to drive them to the Hillsborough River. She picked up the little girl and walked into the water as Je’Hyrah struggled and screamed for help. When she reached deep water, she tossed Je’Hyrah into the river and walked away. 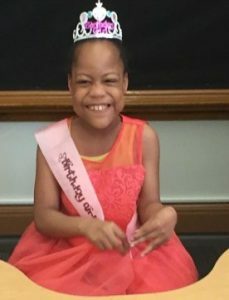 Je’Hyrah was found by divers less than a half-hour after bystanders called the police, but she had already drowned. Perpetrator: Shakayla Denson (Mother), charged with first-degree murder, aggravated child abuse, and grand theft auto. 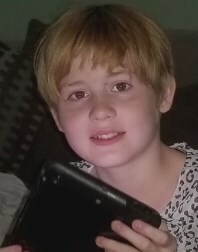 Chloe had one sister, who was a year younger than her and also autistic. Chloe had pica, which meant she tended to eat things that weren’t food and needed to be watched so that she wouldn’t eat anything dangerous. Her father took her and her sister along with her when he went to stay at a house where he and his girlfriend were doing some maintenance work while the owner was away. The house was extremely cluttered and dangerous, but the girls were left unattended there. Her father’s girlfriend had also brought along her methamphetamine stash, which she left where Chloe could get to it. The inevitable happened; Chloe found the meth, ingested it, and got very sick. She spent the night vomiting, but no one called for help until Chloe stopped breathing the next morning. She could not be revived. 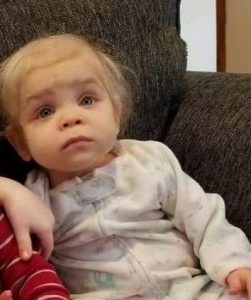 At autopsy, it was found that Chloe, in addition to the methamphetamine poisoning, had a bowel obstruction caused by her having eaten wood, plastic, pennies, and other items while unsupervised. Perpetrator: Brandon Hobbs (Father), charged with neglect of a dependent; Erica Reschke (Father’s girlfriend), charged with neglect of a dependent resulting in death. Location: Vajra Karur, Andhra Pradesh, India. Sumitra’s father was frustrated over her and her brother’s disabilities. He came home drunk, demanded she stand and walk, and when she could not do so, beat her to death. 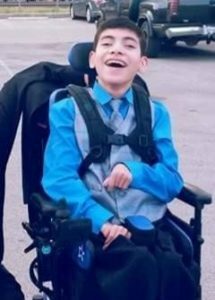 At 18, Joshua got too old to go to his pediatrician, but instead of finding a new doctor, his mother denied him medical care for the last three years of his life. He couldn’t eat on his own, and she didn’t feed him enough. Joshua died of malnutrition and dehydration. Though he had always been small, weighing 51 pounds at age 18, when he died he weighed only 38. Perpetrator: Alma Munoz (Mother), charged with causing serious bodily injury to a disabled person. Born a micropreemie at 1.7 pounds, Heaven survived a brain hemorrhage and hydrocephalus and had to spend three-and-a-half months in the NICU. She lived with her mother and her mother’s boyfriend, both of whom were abusive. She was once brought into the hospital with burns to her hand that required skin grafts, and her teachers were worried that she had been sexually abused; but the child abuse allegations at that time were ruled unfounded. Heaven usually wore a jacket to hide her bruises. She was put on a bread-and-water diet and made to stand against a wall for hours. Heaven died of blunt-force trauma, having been severely beaten in the head and torso to the point that her gut ruptured. Doctors who examined her body found she had bleeding on the brain, as well as a dozen or more healed rib fractures and several new ones. After Heaven was found dead, her two sisters were removed from the home and are now living with their aunt. Her neighbors held a vigil for her, releasing pink, purple, and white balloons into the sky in her honor. Perpetrator: Latoya Smith (Mother), pleaded guilty to felony homicide and child abuse; Demont James Harris (Mother’s boyfriend), charged with felony homicide and child abuse. Antoin’s parents kept him locked in a room with the window boarded up, chained by his ankle. He had to sleep on old couch cushions wrapped in garbage bags and use a bucket for a toilet. There were no lights, no heating, and no air conditioning. When he got sick, they didn’t get him medical help. By the time an ambulance was finally called, he had died of pneumonia. Perpetrator: Antoin Sylvester Hawes Sr. (Father) and Stephanie Jones Hawes (Mother), both charged with neglect of a disabled adult and felony murder. Shocking Death in Augusta: Parents Kept Autistic Son Locked in Windowless Bedroom!